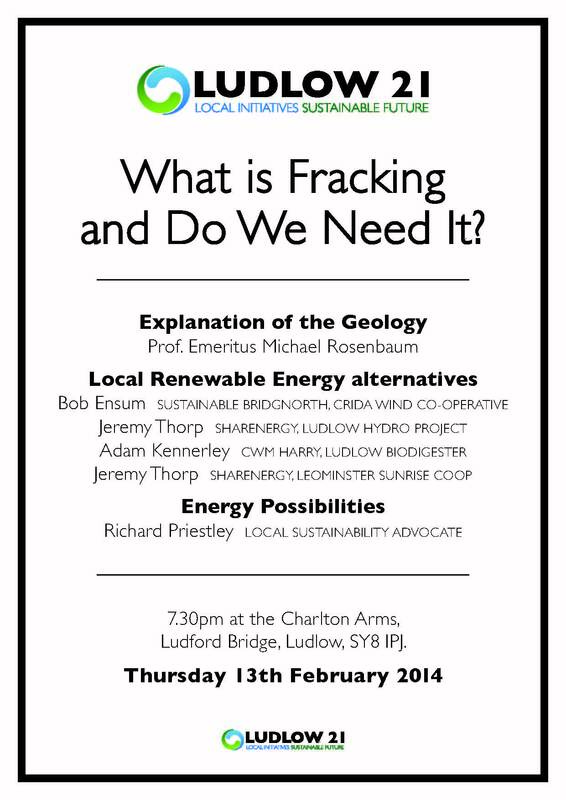 This entry was posted in Energy, Local on 31 January 2014 by Richard. 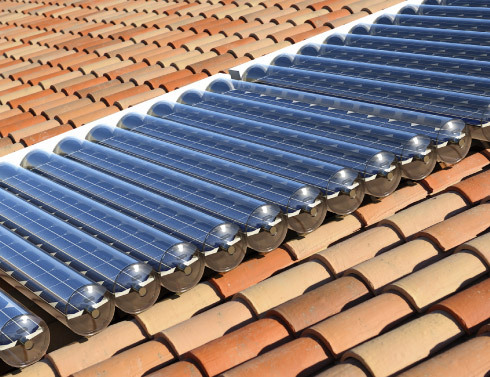 Naked Energy has developed a ground-breaking new type of solar panel that combines both solar photovoltaic electricity and solar thermal hot water production into one panel. This has many benefits. It means more useful energy can be harvested per square metre of roof space, and also represents a better return on the energy invested in the manufacture of the panel components. Usually as pv panels get hotter their performance declines, but with Naked Energy’s Virtu panel the solar cells are water cooled, so these panels will produce more electricity per unit area than a normal pv panel, and into the bargain will produce large amounts of hot water that can be used for a variety of uses from domestic hot water to industrial process heat or drive solar powered desalination. Naked Energy was founded in 2009 and is based at Guildford in Surrey. In November they went on a trade mission to Saudi Arabia, which recently has announced very ambitious plans to deploy a lot of solar power, and where the scope for this kind of technology to be linked into large scale solar desalination is vast. Fracking, tar sands and Arctic oil are fossil technologies. For them there is an ever declining ‘energy-in to energy-out’ ratio, whereas the best of the new clean green technologies have an ever better ‘energy-in to energy-out’ ratio. This Virtu panel developed by Naked Energy is one example of the best new clean-tech energy technology. This is just the kind of product that the British government should be doing all it can to assist. This entry was posted in Business Investment, Economics, Energy on 26 January 2014 by Richard. The news headlines today are of David Cameron pushing for an all-out drive to promote fracking. He and the current UK government are now offering financial inducements to local authorities in an attempt to bribe them to join him in this risky and unnecessary venture. 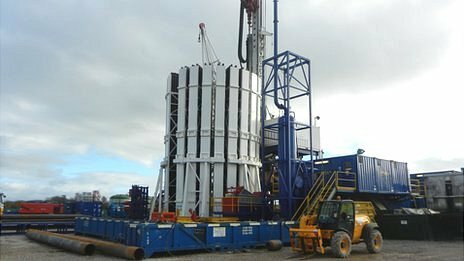 In August and September I wrote a couple of blogs about fracking and alternatives. I hoped I would not have to write again about this topic, it is too awful and depressing a prospect, so as last time I’ll contrast it with some better news. Shale gas, like the oil extracted from tar sands in Alberta and elsewhere, or the deep drilling for oil in the Arctic, are all examples of our destructive addiction to fossil fuels. The easy to access fossil fuels have long since been used up. Now we are developing the difficult to get stuff, which tends to have several disadvantages. Huge amounts of energy are needed to extract the fuels from the ground, so the energy return on energy invested tends to get worse with each successive project. Because of ever increasing geological difficulties, diminishing supplies and rising demand, prices of energy tend to be ever upward. These difficult to get fossil fuels also are associated with a huge range of locally severe forms of air, water and soil pollution. They also are horrendous from a climate change point of view: we simply must accept that there is no alternative but to leave the vast majority of these known reserves of fossil fuels under the ground. Exploiting them is both ecological and economic madness. Luckily at the same time as the energy return on energy invested gets ever worse for fossil fuels it gets ever better for a whole range of renewable energy and energy efficiency technologies. This is something I’ll write about more on this blog over the coming weeks and months. Meanwhile let’s celebrate one tiny but excellent example of the direction we should be going. Today Caplor energy is due to start putting up the solar panels onto the roof of the new school in Leominster. This will be the second community owned solar roof in Leominster, and just like the first one has been organised by Sharenergy, which I blogged about a couple of weeks ago. No doubt there’ll be a share offer coming up soon, so do check the Sharenergy website. This entry was posted in Business Investment, Climate Change, Economics, Energy, Environmental, Politics on 13 January 2014 by Richard.